Motorola Solutions officials believe the company’s Airwave contract to supply TETRA services to first responders in the United Kingdom (UK) will be extended at least five more years, Motorola Solutions CEO Greg Brown said yesterday during a conference calls to detail first-quarter earnings. Brown did not say how much Motorola Solutions would be paid annually to extend TETRA service on the Airwave system. 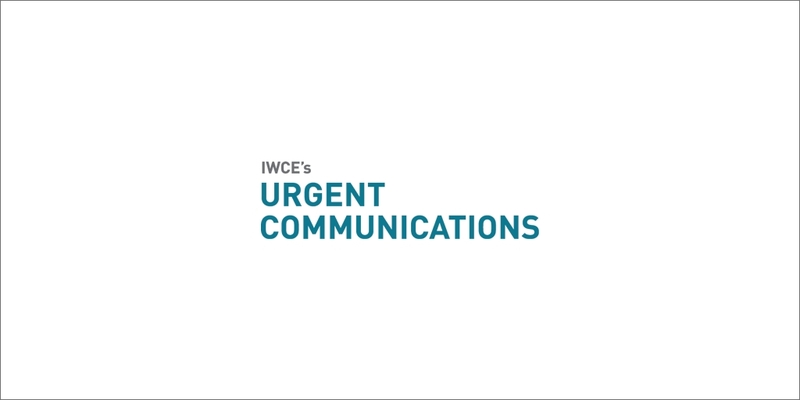 A Motorola Solutions spokesperson told IWCE’s Urgent Communications that the company is not estimating potential revenues from an Airwave extension. Such an Airwave extension would mark a significant departure from the strategic technological roadmap stated by UK officials regarding public-safety communications. Home Office officials had planned to shutter the Airwave TETRA at the end of 2019, when the LTE-based Emergency Services Network (ESN) was scheduled to be operational and provide British first responders with mission-critical voice and data services. But ESN construction has met multiple delays, and the Home Office is scheduled to provide a report to Parliament during the latter half of this year to detail the deployment timeline, which clearly will not meet the 2019 transition goal. In addition, there are growing doubts whether LTE-based proximity services (ProSe) can provide first responders with the direct-mode performance needed to operate effectively when the ESN is not available. As a result, UK Home Office officials have indicated that a short-term solution would have first responders use LTE services when the ESN system is available and utilize TETRA radios when direct-mode voice communications were necessary. By transitioning public-safety communications from an expensive Airwave system—reportedly costing 360 million pounds ($488 million) per year—to ESN by the end of 2019, the UK government hoped to save money at a national level. Extending the Airwave contract for five or more years likely would undermine any potential for savings, according to UK elected officials and multiple industry sources. UK Home Office officials have expressed hope that they can negotiate more favorable terms with Motorola Solutions for Airwave service than the contractual payments that exist in the current agreement. However, even a 50% reduction in Airwave payments to Motorola Solutions would result in UK government expending more than $1 billion more for TETRA services during the next five years than initially planned. Motorola Solutions announced in late 2015 that it would purchase Airwave for more than $1 billion. At the time, the proposed ESN was scheduled for completion in 2017, and British public-safety agencies were expected to have two years to transition from the TETRA system to the LTE network before Airwave would be shut down in 2019. Some sources noted that there is a possibility that the UK government might negotiate an agreement with Motorola Solutions that would allow the Airwave network to be closed in a phased approach, as the ESN system is deployed in the UK. Such a framework could allow the Home Office to reduce its total payments to Motorola Solutions during the extension period, when compared to paying for network-wide service, according to the sources.